Some people prefer to use a brand new phone without a case — but if you’re on the exact opposite end of the spectrum and know you need the most rugged protection for your Pixel 3, you’ve come to the right place. We’ve rounded up some of the best heavy duty cases available for the Pixel 3, from perennial favorites like the Otterbox to more wallet-friendly options from other trusted brands we like. We’re sure you’ll find a case that speaks to you and your needs. 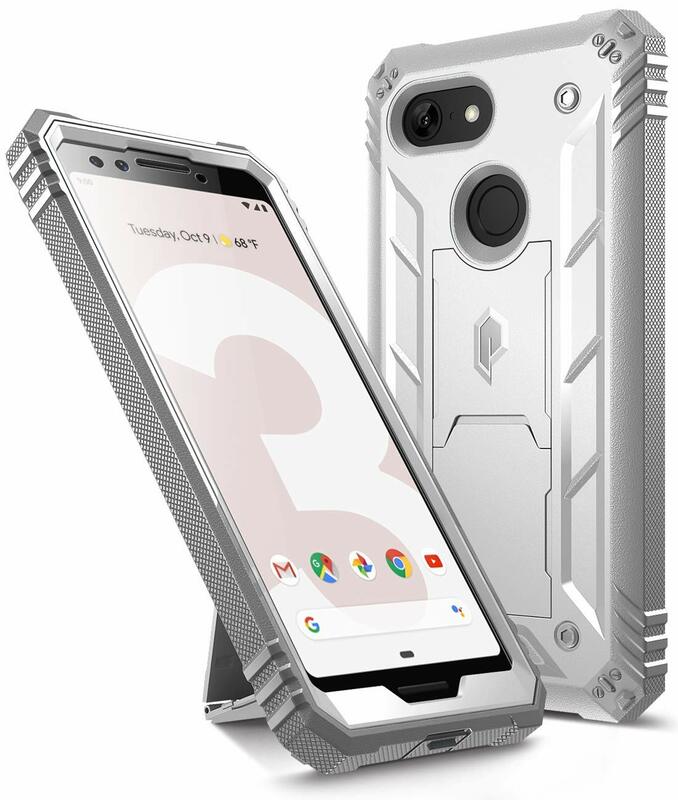 The Ringke Fusion-X is one of the more unique-looking cases you’ll find for the Pixel 3. It offers heavy-duty protection with a clear PC backplate combined with an impact-resistant bumper around the edges to protect against drops and bumps. 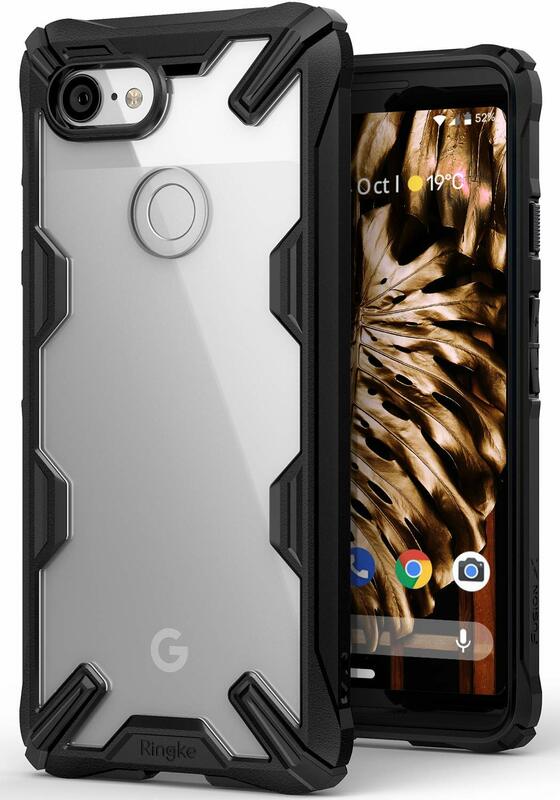 This case offers maximum durability without adding too much bulk to the Pixel 3’s design. 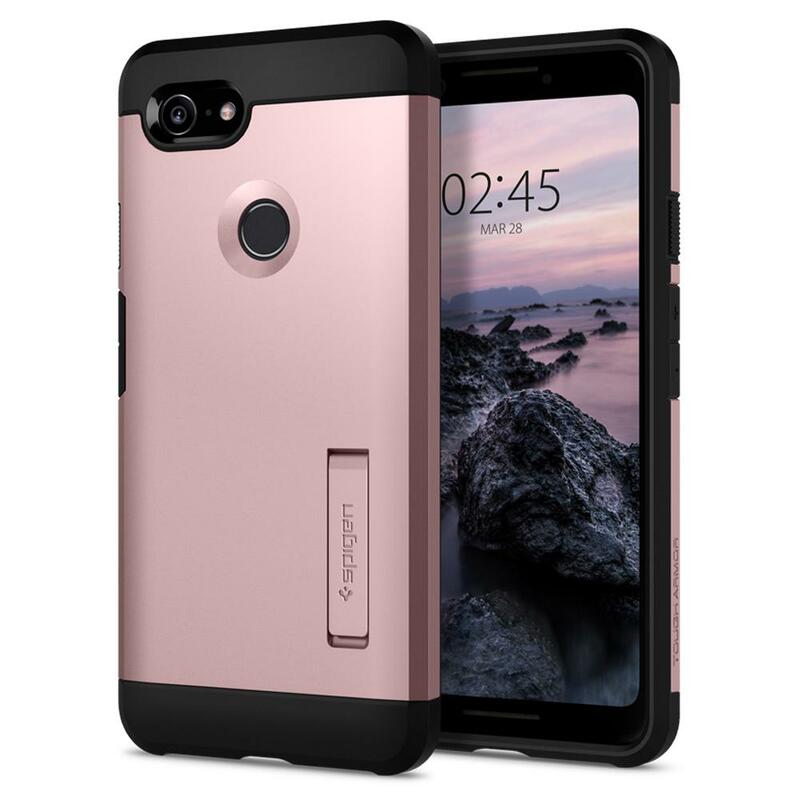 Designed with a shock-absorbing TPU sleeve hugged by a rugged shell, the Tough Armor will live up to its name with a built-in kickstand offering a nice little bonus. 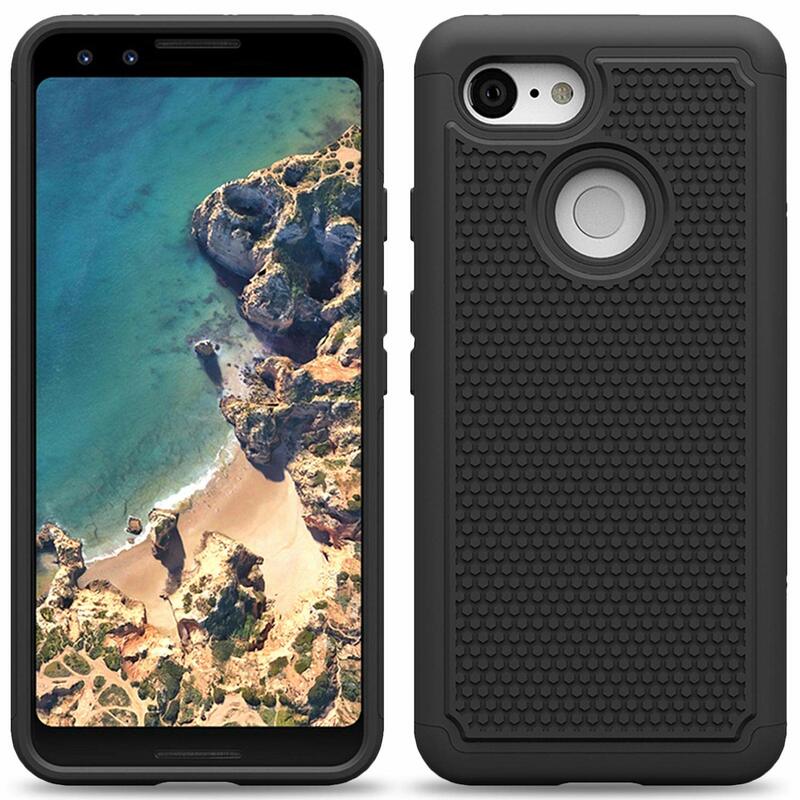 The only case on this list that comes with its own screen protector, Poetic Revolution is able to claim 360-degree protection with this heavy duty case that certainly looks the part. Thick, textured edges should ensure you always have a solid grip on your phone, and there’s a built-in kickstand that works in both landscape and portrait orientations. CoverOn offers a great budget option for those who want to protect their Pixel 3 for under $10. This is a dual-layer case that is designed to take the abuse of your daily use (hey, that rhymes!). The back features a basketball-inspired grip pattern that looks and feel great in your hand. One of the most trusted names in smartphone cases, OtterBox offers its premium product for the Pixel 3. 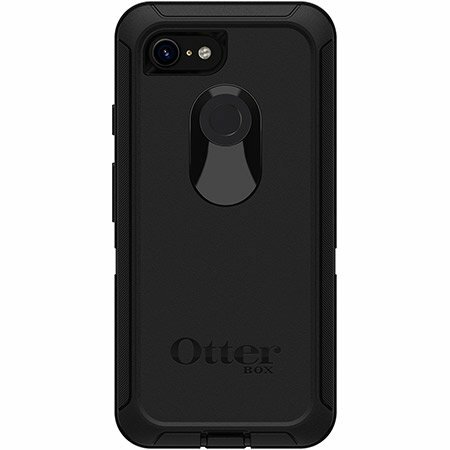 This is by far the most expensive option on our list, but if you’ve ever bought an OtterBox case before and dealt with its superb customer service, you know that you’re likely to get your money’s worth. These are the best cases that offer heavy-duty protection for your Pixel 3. If you’re also interested in adding a screen protector to your phone, the Poetic Revolution is worth considering, but my recommendation goes to the Spigen Tough Armor. Spigen’s products are always top quality and the Tough Armor style in particular is a reliably rugged option for any smartphone. If you don’t mind spending a lot of extra money, the OtterBox Defender Series is going to be worth the money. How fast is the Galaxy Note 8 compared to its predecessors?